This Gen. 1 one-finger knuckle from Tony Marfione at Microtech knives is a stylish accessory for your desk. 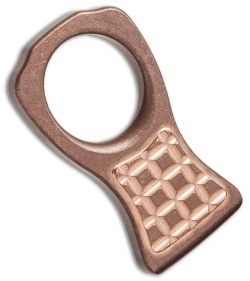 It is made from a contoured piece of 0.38" thick copper with a 1" finger hole. 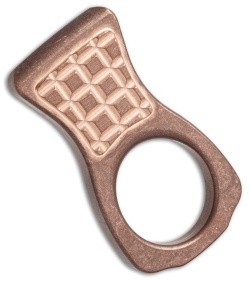 This collectible paperweight features a tumbled finish and a grid pattern design.